Archipelago International, a leading Indonesia-based hospitality management company today announced it has signed a letter of intent with PT. NWP Retail to develop 14 hotel projects in prime locations across Indonesia under three of the companys signature brands: fave, Harper and Aston. 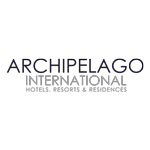 Archipelago Internationalis delighted to announce the first six of twelve winners of itsArchipelago Membership One Year Free Stay Giveaway worth hundreds of million rupiah in value. The giveaway program is running for its second year and is the first of its kind in Indonesia, whereby winners can stay, eat, book meeting spaces, and even enjoy spa services using the winning gift vouchers. Archipelago International, Indonesia's largest hotel management chain, recently gathered its Sales and Marketing leaders across Indonesia and Malaysia to attend the first 2018 Archipelago National Sales & Marketing Conference on March 12th to 15th. 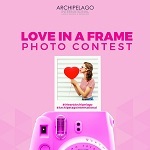 Archipelago International recently hosted the photo contest 'Love in a Frame'in conjunction with the Valentine's day on Instagram where more than 500 images were submitted. With hashtag #IHeartArchipelago, the photo contest invited many Instagram users to capture their romantic moments by posting their most creative heart-shaped photo. 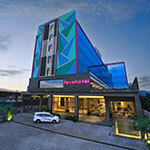 The opening of favehotel Tasikmalaya marks Archipelago International (A.I. )s seventh hotel opening in West Java, underscoring the popularity and demand for the companys brands. Approximately 30 minutes from Wiriadinata Airport, the brand new favehotel Tasikmalaya is positioned at the heart of Tasikmalayas thriving business and commercial district.